Thomas was born on 6 July 1788 in Nottingham. In 1799 he was apprenticed for 7 years to John Gent, who was to become his father-in-law. 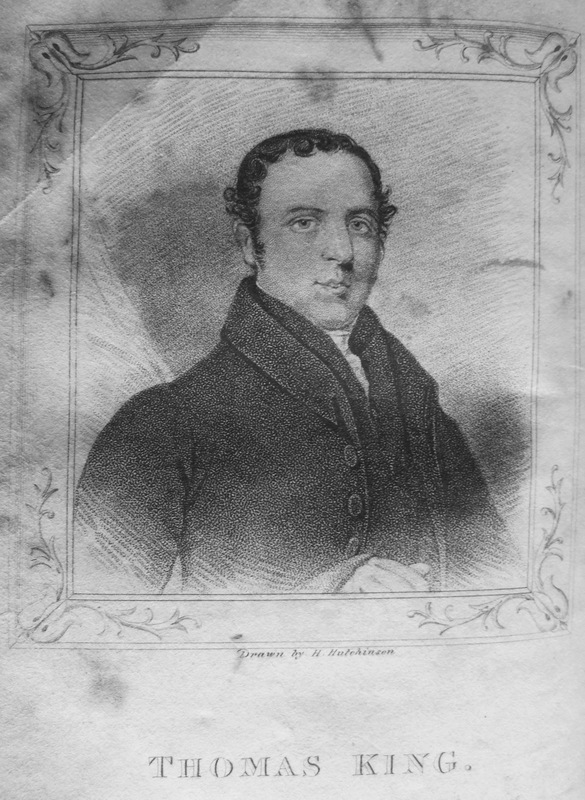 Thomas joined with the Wesleyan Halifax Place Chapel and soon became an exhorter and local preacher. It is reported that he was looked upon as a possible overseas missionary. In the early days of the Primitive Methodist mission to Nottingham, Thomas was persuaded by his wife to attend the PM meeting at Broad Marsh. He received his first PM membership ticket from Hugh Bourne. Thomas was one of six Nottingham representatives to the Preparatory Meeting held in Nottingham from 10 August 1819, which was the precursor to Conference and defined many of the rules for the new connexion. Thomas became a travelling preacher in 1819, despite the monetary and other sacrifices that entailed. His obituary in the PM magazine relates that he gave up an income of 50s per week. He was initially sent to Market Rasen by the Nottingham Circuit. Whilst there, he heard about Grimsby, an ‘obscure place’ of about 3000 people. He then began the work for which he is best known, the missioning of Grimsby. He entered the town for the first time in October 1819 and started to preach in the open air. He soon met up with Farmer William Holt, who provided hospitality, and soon became a good friend. (In 1821 they walked to and from Tunstall to attend the PM Conference.) The first society was formed in Grimsby on 3 November 1819. The first meeting place was a stable, then a warehouse and afterwards a disused chapel in Loft Street. Further societies were developed in Grimsby and the surrounding areas. The success of Thomas was recognised in 1828 when the Nottingham circuit urged his appointment as District Superintendent. Thomas was President of PM Conference in 1825 and 1848. From 1853 to 1858, Thomas was Book Steward. Many PM books and memoirs of the lives of interesting preachers from that time identify Thomas King as the publisher. When William Clowes died, Thomas replaced him as Deed Poll Member of Conference. 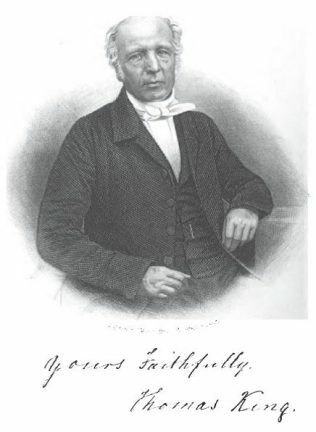 As the oldest travelling preacher in active service, Thomas preached the Jubilee Conference Sermon in 1860. He married Elizabeth, daughter of John and Catherine Gent. Elizabeth was born on 19 January 1779 at Diseworth and died on 22 November 1841. Census returns reveal that Thomas had remarried by 1861. His second wife, Jane, was born abt 1800 at Burstwick, Yorkshire. She died in Nottingham in the spring of 1876. Thomas died on 11 July 1874 in Nottingham. Primitive Methodist Magazine 1859/129; 1875/42; 1895/428, 507; 1842/411 (Elizabeth). This page was modified on 9 April 2017 to add a drawing of Thomas found as the frontspiece of the 1828 primitive Methodist Magazine.